On the evening of Tuesday, November 8th, 2016, bomb blasts went off in the Golori area, near Mamanti, in Maiduguri, Nigeria. These bombs were attached to two men: members of the terrorist group, Boko Haram. Whether by force or choice, these people were killed instantly by the blast, killing two others with them, and injuring six (source). While Maiduguri, and Northeastern Nigeria, for that matter, has seen a definite decrease in suicide bombings as of late, the fact that they are still going on– even if they only come to injure one other person– shows that the deceptive ideology of Boko Haram, and, heartbreakingly, of muslims everywhere, is far from being extinguished. These men, women, and children either make the choice, or are coerced into such self-and-mass destruction. They are usually viewed by non-Boko Haram (BH) members as evil, contemptible, and worthy of their fate. While these people have torn apart the lives of countless innocent people around them, and are extremely evil, it is very important for discerning Believers to also see their true state. These sad, cowardly, disgusting individuals, at their core, are being pitifully– and fatally– deceived by the enemy, by the world, and by themselves. The amount of spiritual deception, darkness, and desperation these people are under is cause for immense, fervent prayer. The statement made above is not to be said lightly, without remembering the absolute chaos and murder they have committed. “Don’t these people deserve what they have been ‘dishing out’?” many would ask. Yes, they completely do; that is the Just answer. But, when seen from Christ’s point of view, it becomes clearly evident that while these people need firm judgment, Christ actually longs to give them Mercy. “‘Cast away from you all your transgressions which you have committed and make yourselves a new heart and a new spirit! For why will you die, O house of Israel? 32 ‘For I have no pleasure in the death of anyone who dies,’ declares the Lord GOD. ‘Therefore, repent and live‘” (Ezekiel 18:31-32, NASB). In the midst of fair and upright judgment against the Israelites, God’s cry for their repentance is clear: while they deserved the wrath coming upon them, Christ’s heart for them was to be saved by turning away from their evil ways, and turning towards Him. These profoundly urgent words are the very Words of God, and show His very heart for mankind, even today. How are Believers even to begin praying for enemies like Boko Haram, when they have done so much damage, and continue, almost hellbound, in their ways? It is vital that one recognizes the spiritual warfare going on, spurring BH members on in their violence. Ephesians 6 is very clear about the warfare happening for every soul: “Finally, be strong in the Lord and in his mighty power. 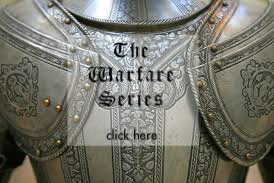 11 Put on the full armor of God, so that you can take your stand against the devil’s schemes. 12 For our struggle is not against flesh and blood, but against the rulers, against the authorities, against the powers of this dark world and against the spiritual forces of evil in the heavenly realms” (Ephesians 6:10-12, NIV). With this in mind, the best fighting is truly done on our knees, in prayer for BH members. 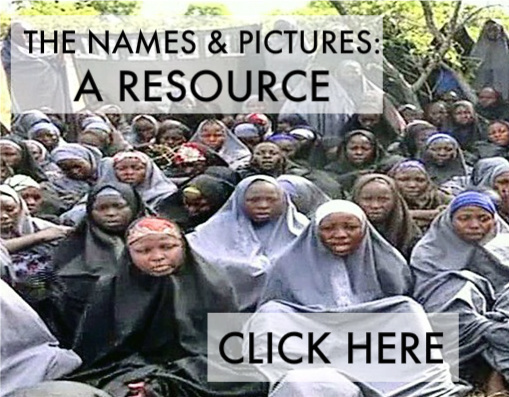 Here are some key prayer points to consider, when praying for Boko Haram members. Whether some are common sense or are points you may have not considered yet, it is always good to be reminded of such things. For the terrorists of Boko Haram to become saved. While this point may seem redundant, it is all too important to leave out.Again, this is not written lightly, or without realizing the complete and utter horror these men have caused. The members of Boko Haram definitely deserve God’s complete wrath, including going to hell. (Ephesians 2:1-5, NIV)At one time, all Believers– even the most zealous, “good,” law-abiding Believers– deserved the wrath of God, including going to hell. No matter how “good” one is in their own eyes, they need Christ as their Lord and Savior; there is no other way. At the core, the members of BH have never experienced the Love of God, His Forgiveness, or the Freedom He brings. Despite their evil, without being saved, these people– these souls– have no chance at a future spent with the One, True, God of the Universe, who Loves them perfectly and dearly. It’s incredibly important to realize that Christ was pursuing us, His people, long before His people ever started desiring and accepting, much less pursuing, Him. This throws the concept of works-based religion, including Islam, out of the window. Religion tells the adherent to “do,” so that God might accept them as “Holy” or “Righteous” enough; but, “For at just the right time, while we were still powerless, Christ died for the ungodly. Very rarely will anyone die for a righteous person, though for a good person someone might possibly dare to die. But God proves His love for us in this: While we were still sinners, Christ died for us” (Romans 5:6-8, NIV). When Christ died, He did everything needed for Believers to come to God, being completely saved by grace, through faith (Ephesians 2:8). There is nothing one must do– or cannot do, for that matter– to gain this salvation. All they must do is accept the gift of what Jesus did on the cross.Experiencing, and realizing, the Love, Grace, and Goodness of God, and accepting Him as Lord and Savior, is the only thing that can truly transform people, even BH members. For Christians in and around Northern Nigeria to stand for Christ, and to be a light in the darkness. Christ has called us “the light of the world,” “a town on a hill,” and a “light” that must be put on a stand (Matthew 5:14-16). In such spiritual darkness as the kind that has been fueling Boko Haram, Christians have the One, True, Living God living within them, and can fight back against the darkness through prayer, outreach, and bringing people to Christ. Without being overly focused on spiritual warfare, whenever one tries to be a light in the darkness, there is inevitably “pushback.” The terror, complete desolation, and isolation so many Christian Nigerians are facing (especially those who are refugees) are leaving them vulnerable to any attack, be it physical, mental, emotional, or spiritual. Now, more than ever, those who are Christ’s “soldiers” must put on their spiritual armor, and gather together against the enemy.This is no more true than for those who are closest to BH members: BH captives. Just as Christ, through Paul, brought a guard to Himself while Paul was in prison (Acts 16:22-35), encamped in captivity, with BH members as their guards, Christian Nigerians may be given opportunities by Christ to show their faith in Christ. They are able to testify of Jesus’ Power, Love, Grace, and Mercy– things that some BH members may have never heard of before. Even in suffering, our brothers and sisters can be a bright light, empowered by the Holy Spirit to clash with the darkness around them. In all, for the Holy Spirit to move these people to come to know Jesus. Passages like Revelation 19, John 14, and John 16 clearly describe who the Holy Spirit is, and what He does. “…Worship God! For it is the Spirit of prophecy who bears testimony to Jesus‘” (Revelation 19:10, NIV). John 14 describes the Holy Spirit as the God who “teaches everything and helps [us] to remember everything that Jesus said,” while John 16 says He will convict the world of sin, and lead Believers into all Truth, telling them what He has heard (from the Father, as read in John 16:8, 13). He will tell us what is yet to come; and, most importantly, will “glorify me [Jesus] because it is from me that he will receive what he will make known to you” (John 16:14). Knowing the importance of the Holy Spirit in our lives, it becomes clear that without being empowered by Jesus, we can do nothing of eternal significance (John 15). This is completely true when sharing the Gospel. Paul says, “I planted the seed, Apollos watered it, but God has been making it grow” (1 Corinthians 3:6, NIV). While Believers may plant the seed in a BH member’s heart, only the Holy Spirit can lead that person to a Saving relationship with Jesus Christ. Let us pray that the Holy Spirit would be stirring in their hearts and minds, as we speak! There are countless things that need to be prayed for, when it comes to Boko Haram, including its destruction. But, as we look at the individual, darkened souls that make up Boko Haram, their need for Salvation and Transformation becomes clear. Whatever it takes– be it their physical surrender, or even their deaths– may these men, women, and children come to realize their need for Christ, and accept His gift of Salvation, readily. It goes without question, that this entire world is incredibly dark. Whether or not terrorists are ravaging the world you live in, there is always a spiritual battle going on, for the souls of those who don’t know Christ (Ephesians 6:12). For centuries, men had been living in darkness, trying to follow the rules and regulations set forth by God, through Moses, perfectly. Through all of our trying, we only become all the more cold in the process, as seen by the Pharisees (Matthew 23). But these rules and regulations were not evil in and of themselves; rather, they were a shadow of the One to come, who would fulfill them all. In the end, the Law shed light on the fact that mankind needed One to do what they could not: obey the law perfectly, and save them from the sin they had committed. Think about the properties and power of sunlight. Jesus, being God Himself, claimed to be “the Light of the world”– and promised that those who followed Him would not only have a light to shine on their life path, but the light to feed, save, guide, heal, and warm them. Jesus, the Light of the World, has come on the scene. Learn more about, and accept the Only Light of the World, here. We praise You, and we thank You, for who You are. Thank You for coming down from heaven, into our dark world, and for considering us of so much value that You would die for our sins. We pray over the men, women, and children both held captive by, and actively in, Boko Haram. Even now, Father God, we pray that Your Gospel and Your Salvation would come to the souls of those in Boko Haram. Your Love is Stronger than even the worst hate or sin; Father, we pray that they would accept Your Salvation, and would become free to love You, and love others. We know they don’t deserve it– none of us truly do. 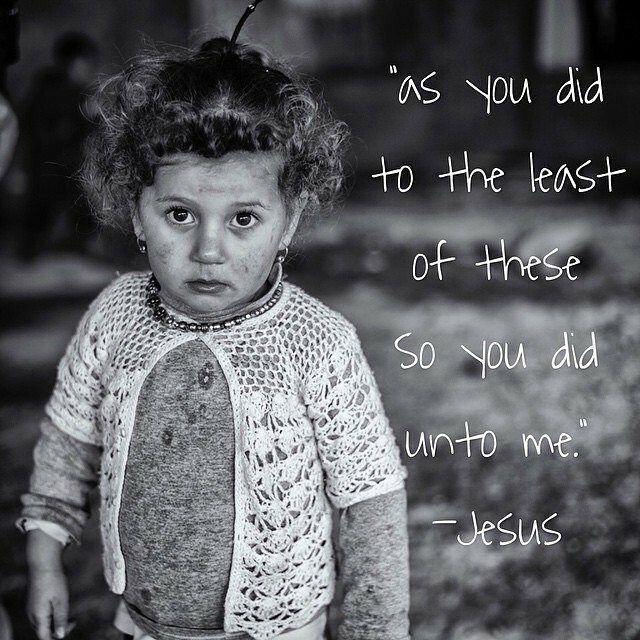 But, King Jesus, we pray that You would let these people experience how much You Love them. Through their hardened, darkened hearts and minds, please shine the Light of Your Love, and transform them as only You can do. We pray that they would accept Your Forgiveness, and would be humbled to accept Your Gospel. We also pray for our brothers and sisters in Northern Nigeria. We cannot fathom the hurt, the pain, and the terror they must feel. But Father God, we surround them, and come around them, and ask that You would strengthen Your people. Please be their Strength, their Refuge, and their Comfort. Please help them to stand, Oh Father God, together, against the enemy, and please give them opportunities to show even the horrible members of Boko Haram Your Love, in whatever form You will. Please give them the Boldness to do so. Thank You, Father God. Please pour Your Spirit out afresh on Your People in this country, and on all of Your People, all around the world. Please stir the hearts of those in Boko Haram, and show them their deep-seated need to know, and be saved, by You. Holy Spirit, please help all of us to plant the seeds of Your Gospel– and trust that ultimately, YOU will make them to grow, not us. Please continue to hold, and help, those who have been so wounded by Boko Haram. As refugees, victims, and captives, please bring them spiritual freedom, in You, and show them that You alone are all they need. We thank You for all of this, Father God!